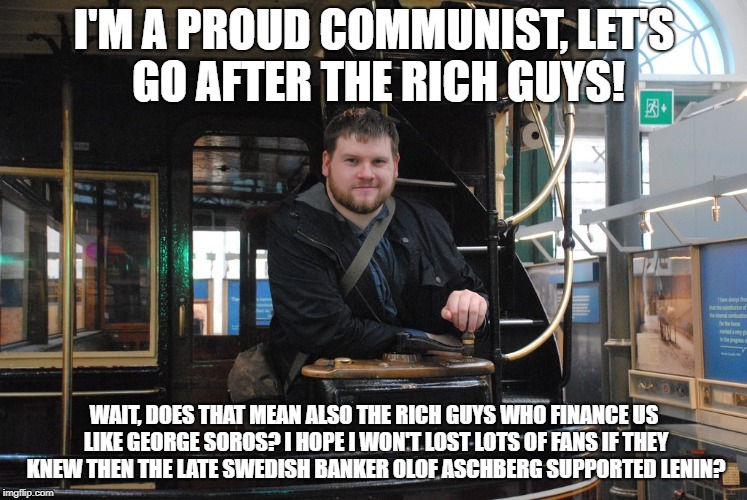 I'M A PROUD COMMUNIST, LET'S GO AFTER THE RICH GUYS! WAIT, DOES THAT MEAN ALSO THE RICH GUYS WHO FINANCE US LIKE GEORGE SOROS? I HOPE I WON'T LOST LOTS OF FANS IF THEY KNEW THEN THE LATE SWEDISH BANKER OLOF ASCHBERG SUPPORTED LENIN?